Let's Get Motivated to Pray! "By His Stripes, I am healed." So I speak out Your Word. I stand on Your Word. Your Word says that by the stripes of Jesus, I am healed. I will believe your Word. Thank you, Lord, for your healing Scriptures. I pray that your healing mercies will work quickly. weakness, pain, mental fog, etc. I will bless the Holy Name of God with all my heart. I come before you thanking you for all the wonderful and glorious things that you have done for me. I come before you praising you for your Power and for your Healing Mercies. I stand devoted to you and your Word. I praise you because Proverbs 3:7-8 says, “Do not be wise in your own eyes; Fear the Lord and depart from evil. It will be health to your flesh, and strength to your bones." I stand on the Word of God. in the blood of Jesus! every other attack on our body. 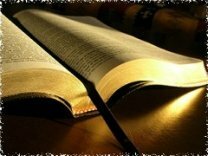 * At various times on this page, we have used the power of the WORD of God in prayer. by using phrases like "In Jesus' Name." "In Jesus' mighty name I pray, Amen"
when we talk of the power of the "stripes of Jesus." I encourage you to adapt it to yourself. to speak to sickness and disease using HIS authority. That authority is shown in the prayer below. Thank you for the authority you give those who truly love you! Thank you for your saving blood that covers me, protects me, and provides authority for me. Thank you for your cleansing blood that protects and provides healing for my friend. Lord, God of Miracles, I come today to ask you to heal my friend – totally, completely, and quickly. And I come today to take - and use - the praying power and authority that you have given me. I stand in the mighty name of Jesus Christ. I come against every cancer of every kind and I say, “Go in Jesus’ name!" I declare: By the stripes of Jesus my friend is healed! I stand on the authority and the truth of the Word of God. Healing my friend’s body by HIS Blood. Healing my friend’s body by HIS Word. Healing my friend’s body by HIS Name. Through the loving compassion and healing mercies of God, my friend is HEALED! Thank you, Lord, for your invitation to stand on your Bible verses and pray powerful prayers in your name. God tells us to speak to the mountain. I thank you for the healing blood of Jesus Christ. gives me and gives my friend. precious blood of Jesus Christ. mighty name of Jesus Christ. disintegrate, and disappear in Jesus' name. as a saved believer in Jesus. release the power of the name of Jesus! I rebuke and remove cancer. Cancer has to go in Jesus' name! for those who proclaim Jesus as their Lord. I have already received you as my Savior and as the Lord of my Life. Today I come to you to receive healing from you. You tell me that you are my Healer. I will believe you and have faith in your Words. I thank you for what you are doing today - in my body - to heal me. Feed the hungry! Help those in trouble! the darkness around you shall be as bright as day. I will feed the hungry! I will help those in trouble! the darkness around me shall be as bright as day. "By HIS stripes we are healed." God the Father is God. Jesus the Son is God. I will speak out God's powerful words, and I will see God's powerful results. Thank you, Lord, that the enemy's plans are pulverized as his plans are pelted with the Word of God. We have more prayer after the video section. God stirred me to sing this song. I think God wants it on this page. I hope it uplifts you. for those who are fighting cancer. I believe in the healing power of prayer. I ask that you would use all the prayers I pray - and all the prayers prayed on my behalf - to minister increased healing into my body. By faith I proclaim that you are healing my body. I will rejoice as I notice my symptoms diminish. I will rejoice even in small miracles. And I will rejoice - with great enthusiasm - when I am totally healed! We Believe in the Healing Power of God. We have seen many miracles. We cannot guarantee results from the prayers on this page.